If you’re on the hunt for peach recipes, I have the perfect one for you! We love a good cobbler recipe. To me, peach cobbler is a classic dessert the screams SUMMER! I love a good homemade peach cobbler, just like this one. Let me show you just how easy it is to make. Next, melt 1/2 stick of butter and use it to grease the bottom and sides of a 13×9 baking dish. Melt 1/2 stick butter and grease 13×9 inch baking dish. Pour the canned peaches into the greased pan. Next, slice and pit your fresh peaches. Once sliced, dice up the peach slices. 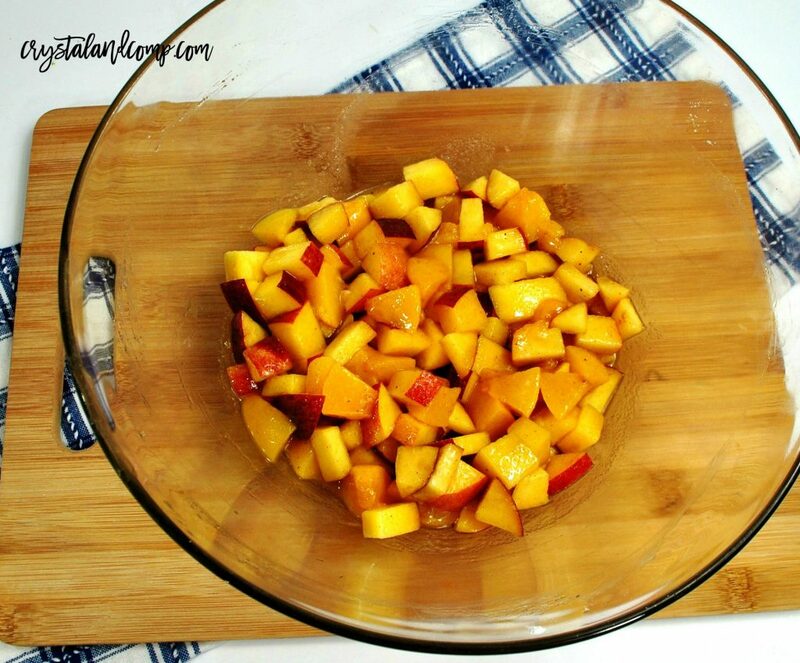 Place the fresh peaches over the pie filling in the 13×9 inch baking dish. Sprinkle the brown sugar over the peach mixtures. Then, in a large mixing bowl, combine the granulated sugar, baking powder, cinnamon, salt, flour, vanilla and milk. Combine well and then distribute it evenly over the peaches in the dish. Bake for 30 minutes or until bubbly and golden. 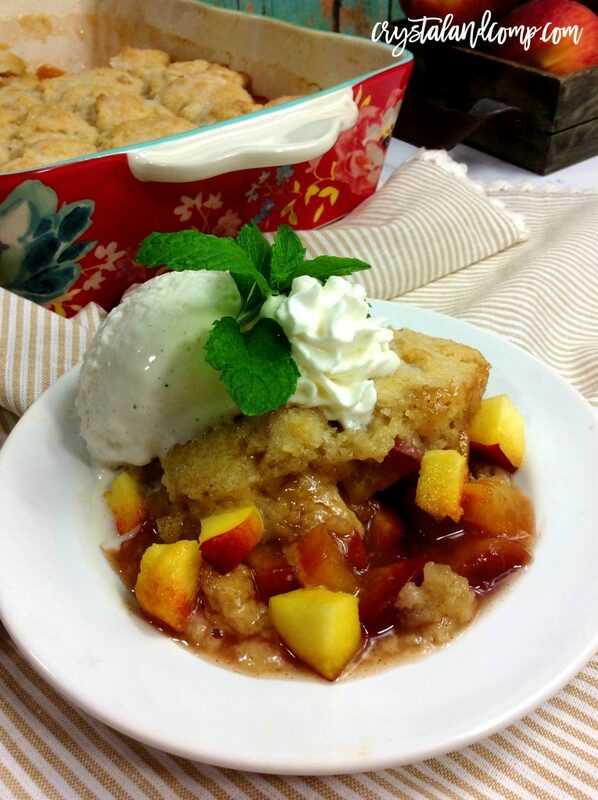 We love to serve peach cobbler warm with cold vanilla bean ice cream. The cold ice cream and the warm cobbler are the perfect combination! Just thinking about it makes my mouth water! 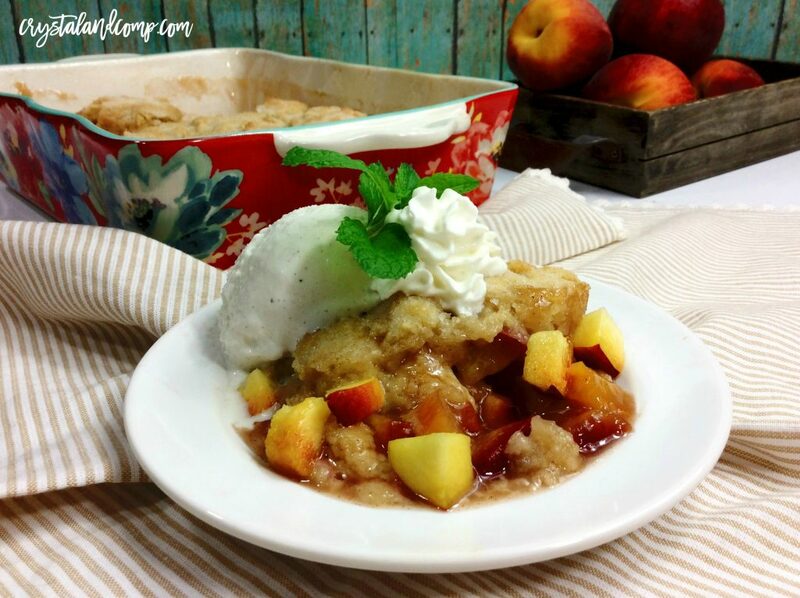 Did you know you can also make cobbler in the slow cooker? 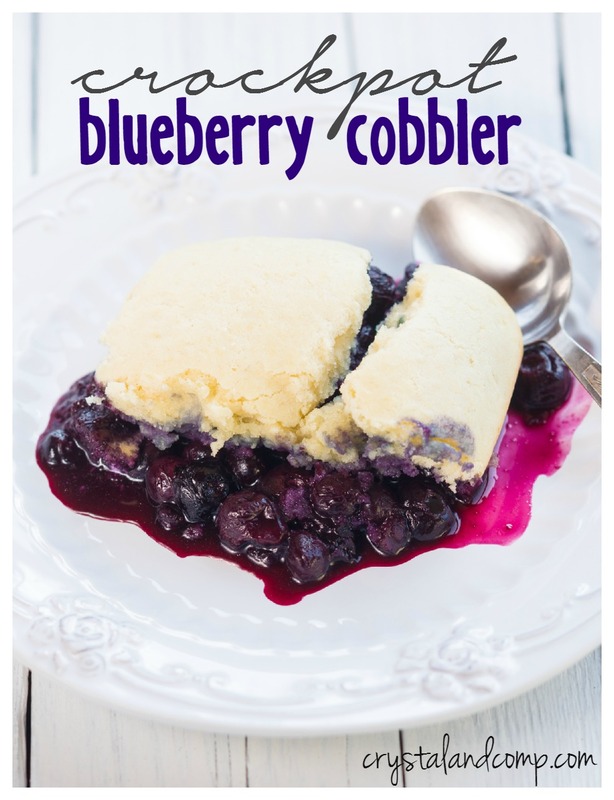 Here is our Crockpot Blueberry Cobbler which is a great alternative when you don’t want to heat up the kitchen! Looking for more peach recipes? 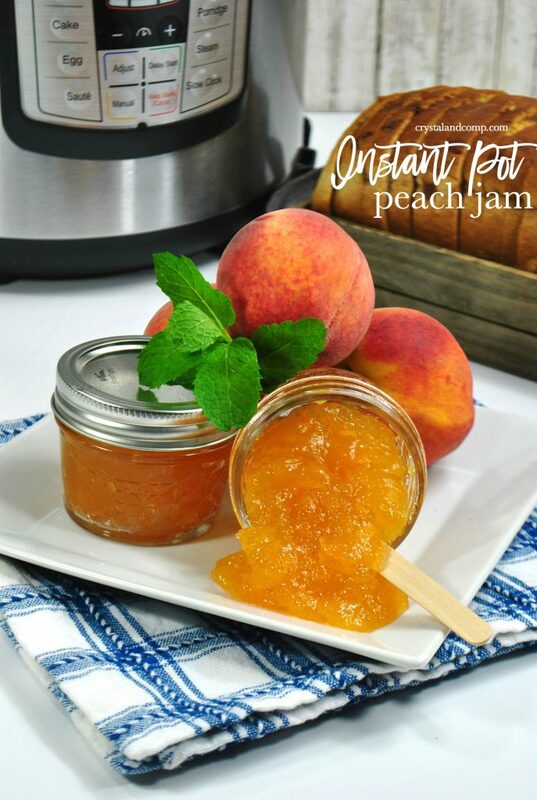 Use up those ripe peaches and make some peach jam! What is your favorite summertime dessert? I would love to know!